Where to buy books by John F Leonard. 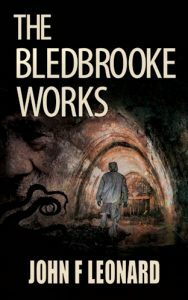 The Bledbrooke Works is a cosmic horror story in the Scaeth Mythos. Now available in digital and paperback. In the UK, this novel is available to buy from the following outlets. In the USA, this novel is available to buy from the following outlets. 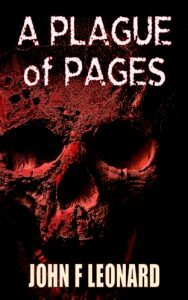 A Plague of Pages is a horror story from the Dead Boxes Archive. 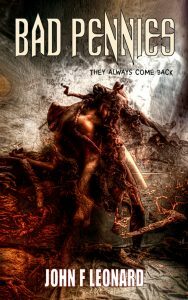 Bad Pennies is the first book in the Scaeth Mythos. Now available in digital and trade paperback. 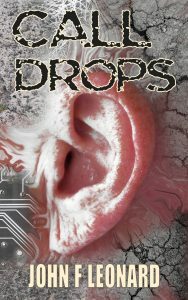 Call Drops is a horror story in the Dead Boxes Archive. Now available in digital and paperback from the following outlets (click the retailer name to visit the page). 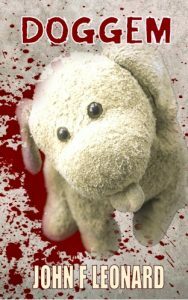 Doggem is a dark fairy tale in the Dead Boxes Archive. 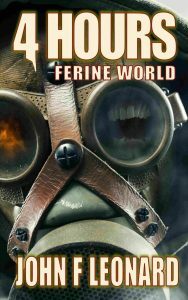 4 hours is the second story set in the Ferine World. 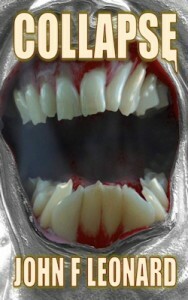 Collapse is the first book of the Ferine Apocalypse.